Heroes of Order & Chaos is a highly rated mobile MOBA game for iOS and Android devices and was also one of the first to bring the popular MOBA genre to mobile platforms. The game is developed by Gamesoft and was released in November 2012. Gameplay in Heroes of Order & Chaos is what you would expect from a mobile MOBA. 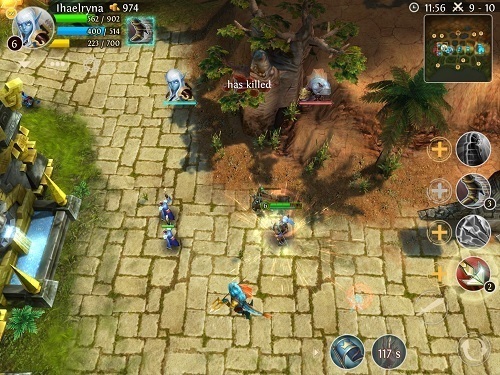 The game tries to incorporate as many MOBA features as possible while still staying simple enough to thrive in a mobile environment (although getting used to controls will be the largest part of your learning curve). In Heroes of Order & Chaos you can choose from over 30 unique Heroes that fit into the standard archetypes that you would expect to see including durable fighters, mobile assassins and of course powerful spell casters. From here you can take your chosen character onto the battle field in 3v3 or 5v5 combat against AI controlled bots or connect with other players online. This makes the game appealing for those looking for a competitive experience or players who want to stick entirely to the offline environment and just have some casual fun against bots. Heroes of Order & Chaos also includes neutral monsters, an extensive number of items to build and a free hero rotation so you can try each champion before you commit to purchasing them with your hard earned (or purchased) game currency. 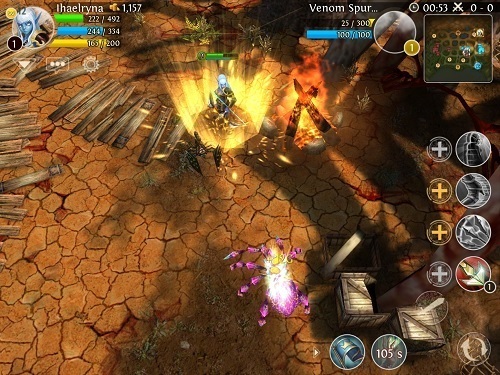 For people who are hooked on the MOBA genre Heroes of Order & Chaos offers one of the best mobile experiences and offers everything that you would expect to see in a full release PC multiplayer online battle arena game. Mobile MOBA action at its best. Large number of gameplay modes. Constant game updates and fixes. Play against other players online or stick to the single player AI games. Amazing game the best moba ever made!!!! great job gameloft!!! Why dont gameloft launch this game on PC. maybe its gonna be fine to control the character on PC than on touchsreen.